It’s a big world. A lot happens every day. Over time, significantly historic events tend to pile up on every day of the year. This is important to remember shortly after the ides of April when students — almost always male — start going on about Hitler’s birthday, Hitler’s suicide, and any other events that may fall on those days. It’s good to remember coincidence plays a huge role in history, much more than those looking for woo connections will admit. But I also like to celebrate important events. Yesterday I posted on Damn the Torpedoes Day, the anniversary of the Battle of Mobile Bay and then-Capt. David Farragut’s famous line. Doing that, and a dozen other things, I completely overlooked another anniversary that carries a lot of weight with me, and I hope with you, too. I was reminded this morning when I saw the post from Professor Olsen @ Large, noting the day Mel Mermelstein beat the Holocaust deniers in court, and established in U.S. law the historical fact of the Holocaust. On this date [August 5], Long Beach, California businessman Melvin Mermelstein struck a powerful blow against bogus history and historical hoaxes. Mel was awarded a judgment in a California court, in a contract case. Prof. Olsen has much more — go read — and I’ve listed my previous posts on Mel Mermelstein below. There were two points of law in the case that delighted me. One was the sweepstakes contract, and the other was the judicial note. A sweepstakes contract is one where someone makes an offer, “the first one who does X, gets $,” for example. While it’s a bit obscure, it is a point of contract law that sweepstakes contracts are enforceable in court (common law, as most contract law is). Willis Carto‘s Holocaust denial group, the Institute for Historical Review (IHR), hadn’t realized that they made a bona fide, potentially legally-binding offer. Mermelstein did, performed the required task, and demanded payment. When IHR refused to pay, Mermelstein hauled them into court. Judicial note is another oddity of law school, that I think is probably used way too seldom to squelch stupid lawsuits. The rule — again in common law — is that a judge may take note of certain facts so they need not be evidenced and “proven” in court, over and over again. The sky is blue, most of the time (black at night); boiling water is hot; 2+2=4 — those are the sorts of facts that judges may rule need not be evidenced at every trial where they might play a role. Mermelstein’s lawyer, William John Cox — another hero, along with Lawrence E. Heller and all of Mermelstein’s lawyers — moved that the court take judicial note of the fact of the Holocaust. The judge held a hearing, and did. That meant there was no issue to take to trial in Mermelstein’s suit against IHR. Where IHR had probably hoped for a chance to trot out their denialists claims, perhaps for broadcast and print media, the issue was now one solely for the judge to rule on the points of law — and on those points, Mermelstein won. IHR had to pay him. Plus, it was established in California, that the Holocaust did occur. As a point of law, Holocause denialists are wrong. August 5 should be Accurate History Day, too. You could combine the lessons of history from David Farragut, Mel Mermelstein, and Davey Crockett, and get a good philosophy. Davey Crockett said, be sure you’re right, then go ahead. 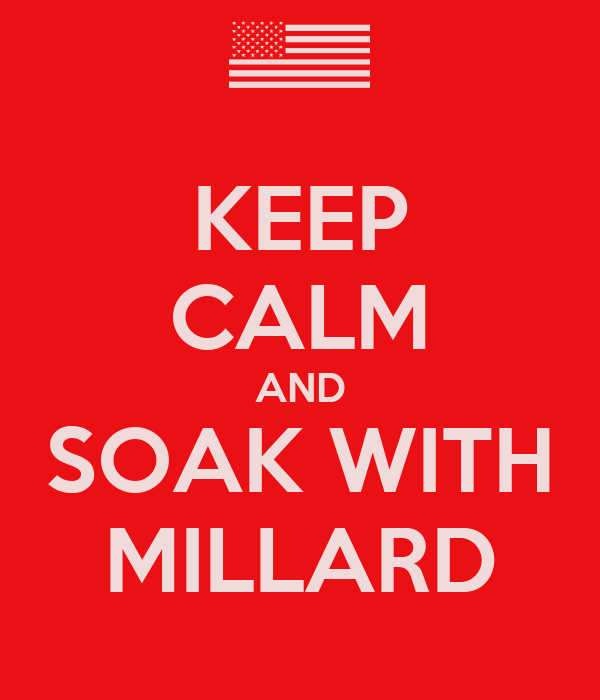 Get your history right, stand up for human rights, and damn the torpedoes! Tree of Testimony from victims of the Holocaust, at the Los Angeles Museum of the Holocaust; dozens of interviews of survivors were taped by researchers at the University of Southern California, displayed on these video screens. Does Idaho exist? Does McDonald’s sell French Fries? 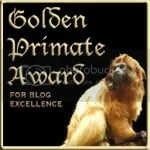 Fun discourse on the nature of what we know, and how we know it, at Alaska blog What do I know? Steve makes his point with solid commentary on the birthers, gay marriage, and health care reform debates. Why don’t other philosophers — Beckwith, Monton and Dembski come to mind — adopt similarly rational views? As one born in Idaho, I love the title. No, you can’t see my birth certificate. You don’t think Idaho exists? Where, then, do the McDonald’s French Fries come from? Tip of the old scrub brush to Dr. Bumsted. Share this story; who can prove Idaho exists? This is exactly the same issue that arises when the tinfoil hats group asks a distinguished scientist to “debate” a creationist, or when someone demands a forum for David Barton to discuss the Christian nature of the design of U.S. government. Freedom of speech and freedom of the press include the freedom to be stupid, and the freedom to believe stupid and false things. Our First Amendment does not create a privilege to waste the time of other people who do not share such beliefs. I wish Mr. Salt had the answer we need in Texas: What do you do when the tinfoil hats people take over the Texas State Board of Education and demand that religious superstition replace science in the science classes? Why give Holocaust denial a platform? Deborah Lipstadt asks the key question at her blog: Why should any honorable, noble agency give a platform to people who don’t respect the facts and who have a track record of distorting history? The distinguished debating group, the Oxford Union, has invited history distorter David Irving to speak. He was invited to speak with representatives of the British National Party (BNP), a group not known for tolerance on racial and immigration issues. While there is value to getting a range of views on any issue, Prof. Lipstadt and many others among us think that inviting a known distorter to speak is practicing open-mindedness past the point of letting one’s brains fall out (what is the difference between “open mind” and “hole in the head?”). You know this story and these characters, right, teachers of history? You should, since these people play important roles in the modern art of history, and in the discussion over what we know, and how we know it. These are issues of “what is truth,” that your students badger you about (rightfully, perhaps righteously). Prof. Lipstadt practices history at Emory University in Atlanta, where she is the Dorot Professor of Modern Jewish and Holocaust Studies. She chronicled much of the modern assault on history in her book, Denying the Holocaust, The Growing Assault on Truth and Memory (1994). In that book, she documented the work of British historian David Irving, much of which consists of questionable denial of events in the Holocaust. Irving sued her for libel in Britain in 2000, where it is not enough to establish the truth of the matter to mount a defense. In a stunning and welcomed rebuke to Holocaust denial and deniers, the judge ruled in her favor, and documented Irving’s distortions in his 350-page opinion. The drama plays out again. Serious questioning of what happened is the front line of history. Denying what happened, however, wastes time and misleads honest citizens and even serious students, sometimes with bad effect. Santayana’s warning about not knowing history assumes that we learn accurate history, not a parody of it. This event will raise false questions about censorship of Holocaust deniers, and the discussion is likely to confuse a lot of people, including your students. U.S. history courses in high school probably will not get to the Holocaust until next semester. This issue, now, is an opportunity for teachers to collect news stories that illuminate the practice of history for students. At least, we hope to illuminate, rather than snuff out the candles of knowledge. Former historian David Irving was released from jail in Austria early, on December 21. Irving claims that he no longer denies the Holocaust. Details are in the Daily Telegraph from England. In several European nations, including Austria, denial of the Holocaust not only is historical error, it’s also against criminal law. He was arrested in November 2005 on charges related to two speeches and a newspaper interview he gave in Austria in 1989 in which he called the gas chambers a “fairy tale” and claimed that Hitler had no role in the Holocaust, even “offering his hand to protect the Jews”. The charges covered statements he had made, such as questioning the accepted version of the Holocaust. He argued that “millions of people were led to believe” an “absolute absurdity”. A jury found him guilty of denying the Holocaust and other Nazi crimes. Irving had appealed his 3-year sentence as too long. He serves the rest on probation. 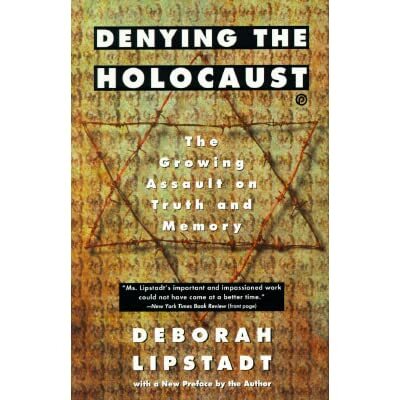 Irving earlier sued U.S. historian Deborah Lipstadt for libel, in London, after she had called him a Holocaust denier. In a long and famous trial, she was found not to have libeled Irving, though under British law, truth is not a defense as it is in the U.S. While it offends my First Amendment sensibilities to criminalize the making of such claims, one wonders about the intelligence or goals of people who deny the Holocaust. Under California law, judicial note has been taken that the Holocaust occurred. It is a fact of history. U.S. law allows more robust, and offensive, discussion of the topic. But in the end, the Holocaust is a fact. It’s an ugly, brutal and regrettable fact. Denying it occurred at all, or to the scope and degree it occurred, is only an odd form of denial of reality.